Prediabetes affects 1 out of 3 U.S. adults; of those, 90% don’t even know they have it. The act2 program is designed to prevent or delay the onset of type 2 diabetes. 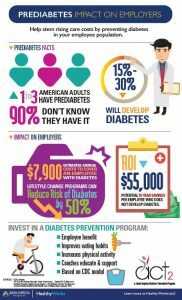 15% to 30% of individuals diagnosed with prediabetes will develop type 2 diabetes. 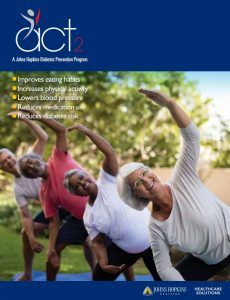 Designed to prevent or delay the onset of type 2 diabetes, act2 is an interactive, year-long support and engagement program empowering you to take charge of your health and wellbeing as you work with a personal coach. For 130 years, Johns Hopkins Hospital has led the way in both biomedical discovery and health care, establishing the standard by which others follow and build upon. This is one of many faculty-developed programs, protocols and services provided by Johns Hopkins HealthCare Solutions to improve health outcomes and reduce the cost of care. Our faculty experts developed this program for maximum impact, based on years of research and clinical success. Prediabetes is a serious health condition that exists when your blood sugar levels are higher than normal but not high enough to be diagnosed as type 2 diabetes. More than 84 million U.S. adults—over a third—have prediabetes and 90% don’t know they have it. Prediabetes puts you at increased risk of developing type 2 diabetes, heart disease, and stroke. 15% to 30% of those diagnosed with prediabetes will develop type 2 diabetes. The good news is that if you have prediabetes, act2 can help you make lifestyle changes to prevent or delay the onset of type 2 diabetes and other serious health problems. act2 co-developer Nisa Maruthur, M.D., M.H.S., talks about the power to stop diabetes. Is act2 Right for You? Check with your organization for additional details on participation and eligibility. 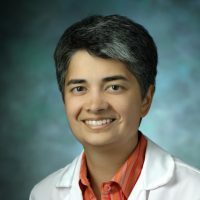 Nisa Maruthur, M.D., M.H.S., is an associate professor of medicine at the Johns Hopkins University School of Medicine, and the director of the Johns Hopkins National Diabetes Prevention Programs. She is an expert in diabetes prevention and treatment with a focus on comparative effectiveness and community-based interventions. 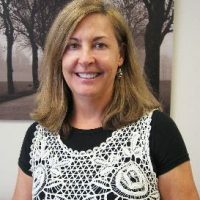 Katherine Michalski, R.D.N., is the director of intervention for the Johns Hopkins National Diabetes Prevention Programs and an expert in behavioral interventions to improve lifestyle. She was the lead interventionist at Johns Hopkins for the Diabetes Prevention Program randomized clinical trial.